The Sheldon Museum of Art at the University of Nebraska–Lincoln received support for the presentation of a collaborative venture, The Unfolding Center: Susan York and Arthur Sze. 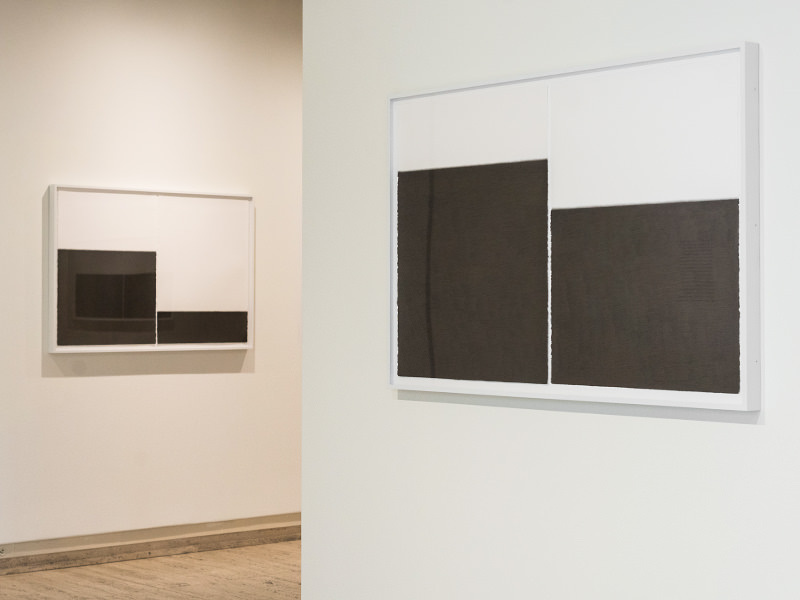 York’s 11 densely layered graphite drawings are exhibited alongside Sze’s extended polyvocal verse. Sze composed the poems in consultation with York over a period of nine months. Then, with input from Sze, York created minimalist block drawings, with the height of the marks mimicking the perceived point of tension in the paired poem. The project debuted in 2013 at the Santa Fe Art Institute. The works were subsequently acquired by the Lannan Collection and were presented at the Sheldon from January 20 to May 8, 2016. View Susan York's and Arthur Sze's bios on Lannan.org.